The M320 is a high performance 10 Gbps capable, distributed architecture edge router. 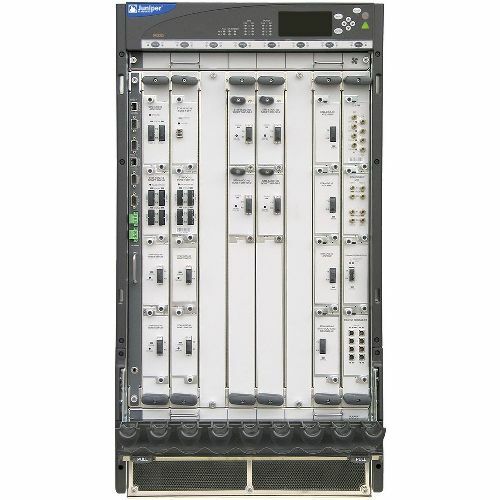 It offers up to 16 OC-192c/STM-64 PICs per chassis (32 per rack) or up to 64 OC-48c/STM-16 ports per chassis (128 per rack), with up to 320 Gbps throughput. 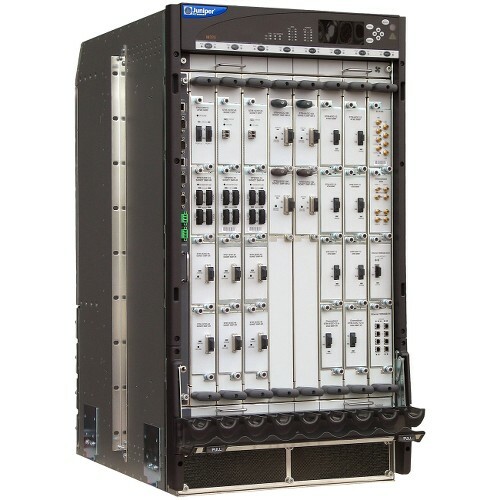 The M320 platform is ideal for medium-size backbone cores requiring predictable performance for feature-rich infrastructures. It also supports provider edge services in 10-gigabit POPs with the ability to support up to 32 type 1 and type 2 PICs and up to 16 type-3 PICs for 10 Gbps uplinks. 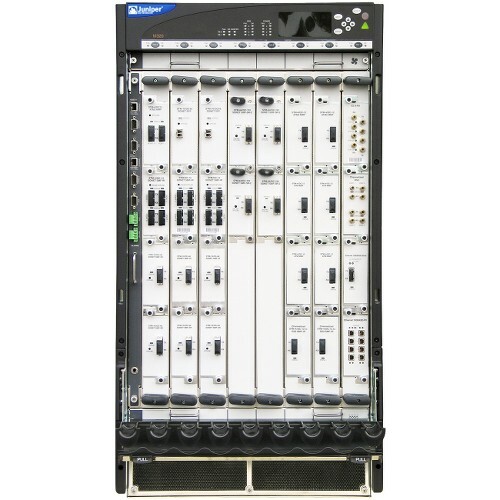 In addition, this platform is ideal where switching fabric and Routing Engine redundancy are required. All major components are field replaceable, increasing system serviceability and reliability, and decreasing mean time to repair. PICs are compatible with M40e, M120, T320, and T640.